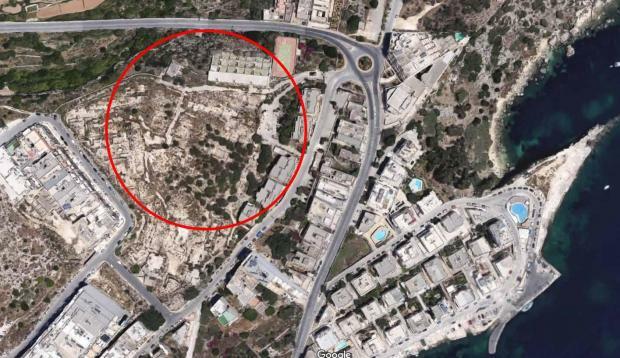 Finance Minister Edward Scicluna is under pressure to sign a permit that would allow a member of Dubai’s ruling family to buy the project to build hundreds of apartments on the site of the former Mistra Village tourist complex in Xemxija, The Sunday Times of Malta can reveal. The Dubai sheik, whose name is not being divulged for data protection reasons, is asking the Office of the Prime Minister to be issued with a special AIP (Acquisition of Immovable Property) permit, which would enable him to purchase the entire project from Gemxija Crown Holdings, the Maltese company which owns the development. Pressure to comply is being exerted on the Finance Ministry by various quarters, particularly senior officials at the OPM. However, the Finance Minister, Edward Scicluna, has been advised not to issue the permit as this would constitute a clear breach of the Immovable Property (Acquisition by non-residents) Act. “Such a permit, if granted, will be totally illegal and the Finance Ministry would be breaching the law and might be challenged. This legal advice has already been delivered to the minister,” a legal source told this newspaper. The potential buy-out is deemed by OPM senior officials as being in Malta’s economic interests. A senior government source said: “So far the project has not started as it is a known secret that the Maltese developers behind it do not have the necessary funds to see it through. Asked to confirm that the OPM was exerting pressure on the minister to grant the permit, a spokesman for the Finance Minister only said that such an application has been filed. Asked to state whether a similar AIP permit had ever been granted, the spokesman did not reply. The Sunday Times of Malta can confirm that it has not. During the pre-2004 accession negotiations with the EU, Malta successfully negotiated a special deal with Brussels to protect Maltese citizens from foreign land and property speculators. According to EU treaties, all EU citizens are to be considered as equal, but Malta obtained a special derogation to limit how much property EU citizens could buy and for what reasons. Under this arrangement, all EU citizens can only acquire a second home in Malta so long as they use it for strictly residential purposes. They are not even allowed to buy a property to rent out. Through the AIP permit mechanism, EU citizens require a permit from the Finance Ministry before they even sign a contract to buy their property. The rules, however, are even more stringent for third country citizens – such as the Dubai sheik. They are only allowed to buy a single property on the island and use it exclusively for personal residential purposes. The only exception to the rule are properties in so-called Special Designated Areas (SDA), mainly high-end development projects such as Portmaso and Tigne’, where no limits on sale of properties apply. However, the Mistra Village is not included in the list of SDAs. Originally built in the 1980s, Mistra Village was developed into a tourist complex by the Corinthia Group of Companies. Though at first it was successful, it had started to decline in popularity along the years, closing doors in the early 2000s. The land was later sold by Corinthia to Gemxija Crown Ltd, owned by the Montebello brothers, who had also built the not so successful Marsa A3 Towers project and bought the Jerma Palace to turn into apartments. 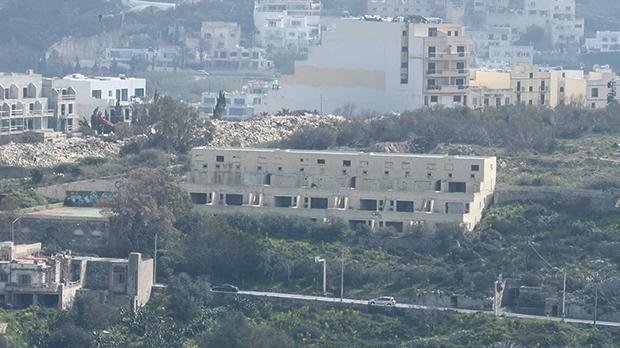 However, serious financial difficulties hit the group and despite a permit granted in 2013 to develop the Mistra Village into apartment blocks, the development never took off. Last January, the Planning Authority issued a renewal of the permit giving Gemxija Crown five more years to start. The Dubai sheik then filed his application with the Finance Ministry to be granted a special AIP permit that would allow him to take over the project. The OPM was aware of what was going on. According to the latest development permit, the former tourist village is to be turned into a residential development consisting of 744 apartments, 1,800 square metres of retail space, 1,000 square metres of restaurants and a car park for 1,600 cars. The Dubai sheik, if granted the government’s green light, would be spending hundreds of millions on the project that would culminate in selling apartments to Maltese and foreign buyers. The total floorspace footprint of the project is 134,600 square metres, equivalent to the size of 19 full-size football pitches. Any non-resident person wishing to acquire immovable property in Malta needs to fill in the necessary forms issued by the Finance Ministry. A dwelling house is to be solely used as a residence by the applicant and his family and for no other purpose. It may not be sold in part or converted into more than one dwelling house. A garage must be used solely as such by the applicant and his family or as an extension to be integrated with the applicant’s existing dwelling. A plot of land must be developed into one complete single residence ready for occupation within two years from the issue of the permit and must be used solely as a residence by the applicant and his family and for no other reason.